That narrow strip of land that connects your front yard to your backyard on each side of your house – better known as a side yard – is usually seen as wasted space that is good for little more than storing your garbage cans for easy access on trash day. Often just a few feet wide, this part of your property can be a bit more challenging to fit into your overall landscape design, but before you write it off as a waste of space, it is worth taking another look at your side yard to recognize its potential as a great garden space, private patio, outdoor entertaining area or hiding place for a functional backyard feature that you do not want in plain sight. Read on to get some inspiration for ways you can make better use of your side yard and turn this valuable property into a usable, functional space. The easiest and cheapest way to make side yards more usable is to install a fence at each end, and use the space for hiding things you need but do not want to have visible in your front yard or backyard. One common use is as a hiding place for garbage cans, but you can also use this fenced-off area to store yard maintenance tools, your compost pile, children’s toys or extra patio furniture that only comes out when you plan on entertaining in your backyard. There are some very nice backyard shed designs that can easily be incorporated into your overall landscaping, but if you would rather opt for a less expensive option, you can always place your shed in your side yard to keep it out of sight and always have convenient storage close at hand. If you have a long, narrow side yard, you can also have a shed custom built to fit the space and maximize storage. This is a great way to free up space in your garage that is currently being used to store gardening tools or long-term storage items that are rarely used. The ideal dog run provides your furry pal with enough room to run and play, and side yards are often the perfect size for this. If you already have a fence along the side of your yard and a gate or fence that sections off your side yard, you get the added bonus of spending less money on making a safe enclosure for your dogs. A side yard dog run works best if you have a window facing the yard so that you can keep an eye on your pets when they are outside. If you decide to use this section of your yard as a dog run, you might want to consider installing artificial grass in the enclosure. Opting for synthetic turf allows you to have an attractive, low-maintenance dog run ground cover option that requires very little care and is easy to clean after your pet uses it for restroom activities. Small side yards make great work or hobby spaces. For example, these long, narrow areas are perfect for potting benches and provide a nice, secluded area where you can garden or partake in other hobbies in peace. Many side yards do not get much sun, but if yours happens to get at least six to eight hours of sun each day, you can use this space to grow your own fruits, vegetables or herbs. 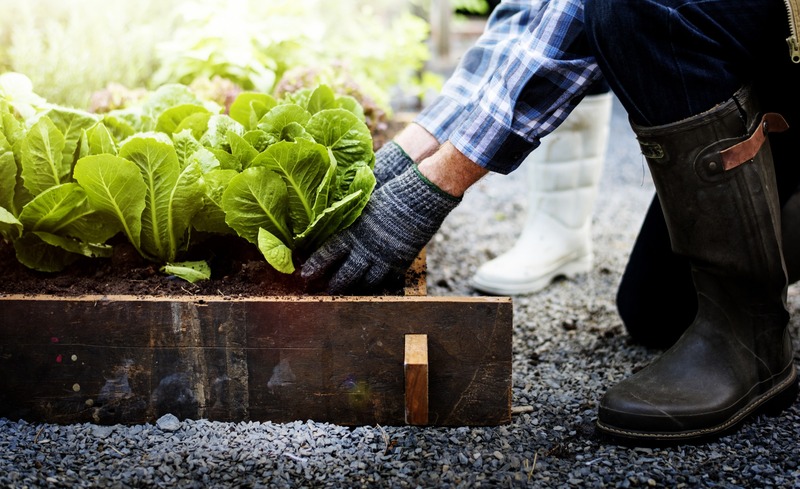 If you have been considering a vegetable garden but were not sure if you want to change your existing landscape design to include one, using your side yard for this purpose is a great way to grow some of your own food without taking away from the visual appeal of your backyard. Narrow side yards may not have a lot of surface area in which to plant, but they have great potential when it comes to vertical gardens. A vertical garden installed along the side of your house or your fence is an easy way to increase your planting area and maximize the space in your side yard. If you are concerned that your side yard might not get enough sun to grow your favorite flowers or vegetables, you could consider planting a container garden. Colorful containers will bring life to the space and can be moved into the sun to let your plants soak up the rays. Golfers who would love to get in a little practice without having to head to the country club can perfect their game and impress their friends with an at-home putting green. Long, narrow side yards are perfect for this and provide a great space for including this fun backyard feature into your landscaping without taking away from your current outdoor living and entertaining spaces. If you opt for artificial turf for your putting green, you will get the added benefit of never having to mow, water, fertilize or aerate your green to keep it looking its best. The reason most homeowners leave their side yards bare and miss out on using this space is because the long, narrow shape makes it seem like an impossible space for doing anything attractive or functional. But a long, narrow space is exactly what you need for a horseshoe pit. If you want a regulation-size pit, you will need about 50 feet of space that is at least six feet wide, but it is your yard, so you get to play by your rules, which means a smaller side yard will work just fine to install a playing field that works with the size of your yard. For an attractive, lower-maintenance horseshoe pit, consider using synthetic grass between the pitching areas. 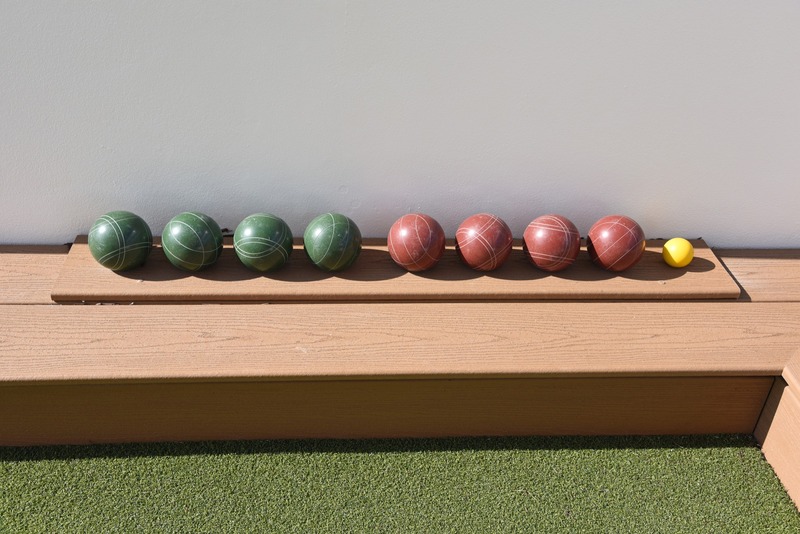 Installing a bocce ball court is another family-friendly backyard game option that may work for those with larger side yards. If your side yard is between 10 and 15 feet wide, you can likely use this space to get in a little lawn bowling after work or when you have friends over on the weekend. Ideally, you need a length of at least about 60 feet for a good game of bocce ball, which may mean your court will need to stretch along the side of your backyard as well. Since you can play this game on natural or artificial grass, you will have no trouble blending it in with the rest of your landscaping. Keep in mind that fake grass will provide a playing field that is level and does not have clumps or holes, which will make for a better game. Not all side yards are fenced, and some are perfectly placed to provide a walkway from your front yard to your backyard. Taking advantage of this and designing an attractive pathway along the side of your house makes for an inviting entrance to your backyard and a great way to get guests to your backyard entertaining spaces without the need for them to venture through your house. 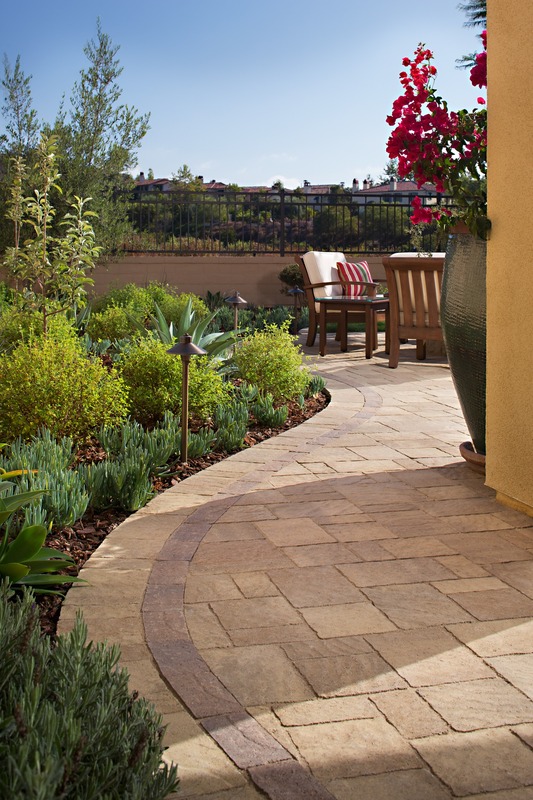 A paving stone walkway with colorful flowerbeds on each side is the perfect side yard improvement for homeowners who love entertaining outdoors. If you like the idea of raising backyard chickens, but are not so keen on actually having chickens in your backyard, you might consider building your chicken coop and enclosure in an out-of-the-way side yard. This way, you can enjoy fresh eggs without worrying about your guests or children stepping in chicken droppings while in your backyard. Your backyard should function as a private retreat where you can relax at the end of the day or spend quality time with loved ones. But there is an even more secluded area that makes for the perfect private escape where you can steal away to meditate, practice yoga or partake in other relaxing ventures. If you children are playing in the yard or your partner is singing with the radio while grilling up dinner, you can escape to a well-designed side yard to get some quality alone time. Whether you want a private retreat or are okay with bringing along some guests, a small patio area placed in a side yard is a great way to expand your usable outdoor living space. Depending on the location of your main backyard entertaining area, you may even be able to extend your patio around the side of your house and make your side yard part of your primary outdoor living area. This may also be the perfect spot for your barbecue grill or outdoor kitchen, which will leave more room for seating and mingling on your main patio. Even a small side yard can be easily transformed into a backyard cinema. While you can go all out and purchase a professional setup, you can also just hang a white sheet on the fence, add a few comfy chairs and enjoy your favorite flicks in the privacy of your side yard. Do keep in mind that outdoor movie theaters can be a bit loud, so this may not work well for your side yard if your neighbor’s bedroom is right on the other side of the fence. The strips of land between your house and your fence – or your house and your neighbors house – can be used as functional outdoor living space; however, they do often come with a few challenges. For example, many side yards do not receive much sun or are barely wide enough for a walkway. You may also have nosy or noisy neighbors, which can make using your side yard less appealing. 1. Check with your local governing body to make sure your design ideas do not go against building codes or setback requirements. 2. If your side yard does not receive much sun, consider planting a shade garden to add color and texture with plants that do not require direct sunlight. 3. Natural grass usually does not do well in shade and requires a lot of maintenance. Opt for artificial grass instead for an attractive, low-maintenance side yard. 4. Install a fence, privacy screen or trellis to increase privacy in your side yard. 5. For a more cohesive look, continue your backyard landscaping into your side yard by using the same ground cover, hardscape or plants. 6. If your side yard is small, fill your flowerbeds or line your walkway with plants that do not spread much to avoid overwhelming the space. 7. Create visual interest by using tall plants that do not require much room, such as bamboo, which can also increase privacy. 8. If you live next to a noisy street or loud neighbors, reduce outside noise by installing a water fountain as part of your side yard landscape design. 9. Avoid the temptation to use this valuable space as a dumping ground for yard waste and clutter. 10. Think of side yards as the studio apartments of landscape design – a minimalist approach that focuses on function and visual appeal without a lot of extra stuff taking up space is best. With a little inspiration, you can transform your side yard from wasted space to an appealing outdoor living area. Do you use your side yard for more than storing trash cans? If so, let us know your tips for maximizing side yard space in the comments below.